I know its still summer, but as soon as I see a hint of oversized coats and black clothing appearing online I become a magpie, adding items to wish lists and preparing myself for the winter months. Elvi is one of my favourite plus size brand's. 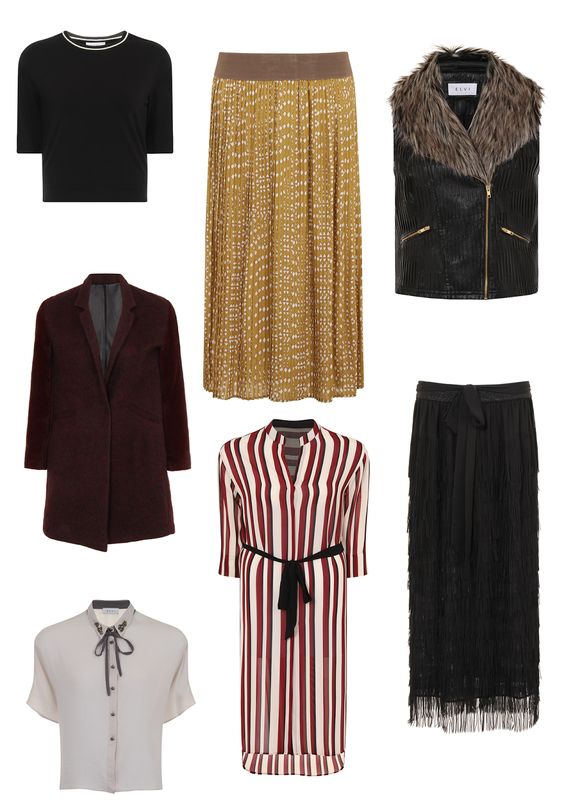 There new collection combines a mix of textures, embellishment and pattern that will look perfect in anyones wardrobe, so I thought I would share a few pieces that I love. 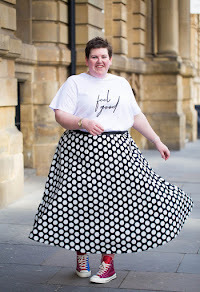 I'm in love with skirts at the moment and this black maxi will be great for the party season or paired with an oversize jumper on those cold days. The mustard skirt is a great transitional piece from summer to winter, paired with the black t-shirt and fur gilet will add an edge to any outfit. The soft grey blouse can be paired with black skinny jean's during the day or a black leather skirt for an evening. Finally the plum boyfriend coat will make sure you don't catch a chill during the winter months. What piece are you loving at the moment?